A quick reminder that Santa is coming to Top Lock tonight! Santa Claus is coming to town on Friday evening 7th December! 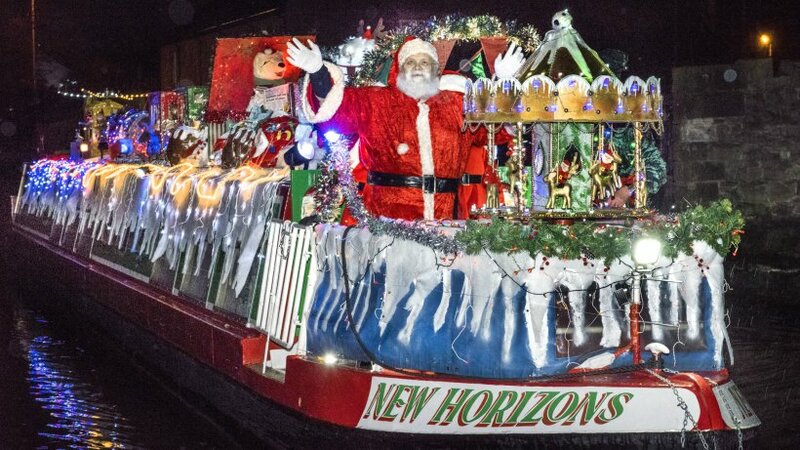 Swapping his sleigh ride for a 'Santa cruise' on New Horizons narrow boat - a must-see for the little ones in the family. 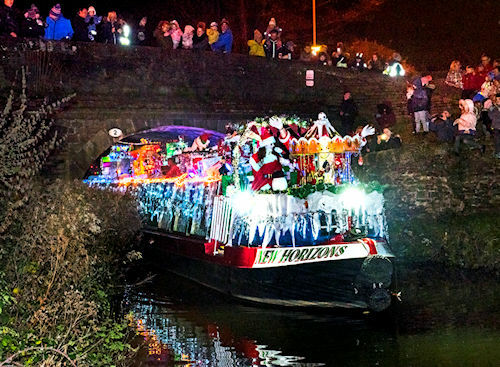 Look out for Santa, his elf and helpers arriving by boat on a magical illuminated journey at Marple Social and Forces Club on Limekiln Lane after gliding along the canal from Goyt Mill. The bridge at the Ring o' Bells on Church Lane will be the first sighting of him. You can follow the narrowboat from the bridge to the club but torches are recommended as some of the paths are quite dark. 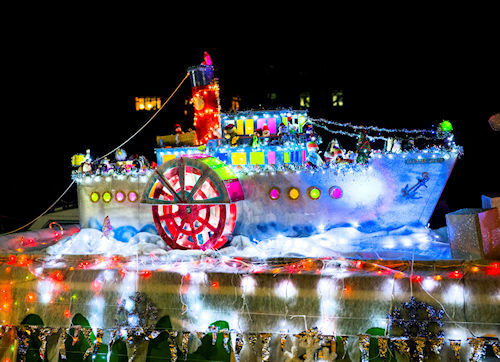 It truly is a magical experience and brings the festive season to life with fun and excitement. If you would like to take your children or grandchildren to meet Santa, you are asked to be at the club from 6.30pm where hot drinks and food will be available as well as drinks from the bar. A Brass Band and carol singers will help to create a lovely Yuletide atmosphere. Sweets, lucky dips and glow sticks are among the special treats lined up for the children. 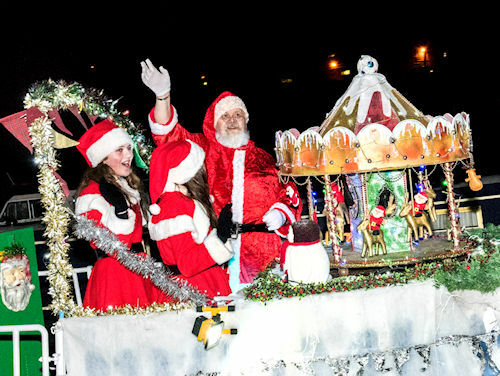 Santa will arrive at 7pm so make sure you are there in good time to give him a rousing cheer and a warm welcome to Marple. Santa’s Grotto will be open from the boat arriving until 8.30pm. The event will end no later than 9.00pm. The event is free but there will be collecting buckets on the route and at the club to help cover costs. Thank you to Marple Area Committee for supporting this event. There is no parking on the Social Club Car Park on the evening of the event for non permit holders. Bridge 2 is a road bridge and pedestrians need to be aware of traffic on this bridge. As the route involves towpaths and lock sides and bridges, parents are responsible for their children at all times. Marshals will help to guide the spectators but are not responsible for them, however a marshal's instruction should be followed.During the event there will be no public access to the canal side at the social club. We reserve the right to cancel in the weather becomes an issue.